If there is one word that captures many Europeans’ response to the continent’s financial crisis, it is denial. Witness the description by the editors of France’s newspaper-of-record, Le Monde, of France’s S&P credit-downgrade on January 13 as “un non-événement financier.” The fact that this “non-event” will increase France’s borrowing-costs (not to mention those of the EU’s own bailout fund) at a time when France’s government is already struggling to contain spending apparently escaped Le Monde’s attention. This habit of ignoring reality, however, goes beyond blinkered reactions to one-off occurrences. It’s also reflected in many Europeans’ perceptible inability to acknowledge some of the deeper dynamics driving the crisis. Here most of us think of unaffordable welfare states and other sinking ships to which many Europeans cling like limpets. But there is one element at work in Europe’s crisis that even fewer Europeans will openly acknowledge: the economic forces set in motion by Europe’s slow-motion population implosion. The demographic facts concerning European population-trends are clear. The replacement level for a population (what keeps it stable) is a fertility-rate of 2.1 children per woman. According to the UN, the average fertility-rate of European women was 1.53 between 2005 and 2010. 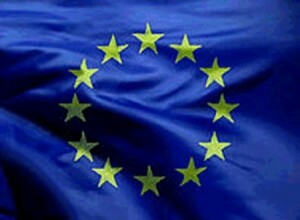 The figures for Greece (1.46), Spain (1.41), Portugal (1.36), Italy (1.38), and Germany (1.36) were especially depressing. France (1.97), Britain (1.83), and Sweden (1.9) did marginally better. Ireland alone managed to attain the 2.1 threshold. All these figures represented decline from 1955-1960 rates: Greece (2.27), Spain (2.7), Portugal (3.29), Italy (2.29), Germany (2.3), France (2.7), Britain (2.49), Sweden (2.23), and Ireland (3.58). These developments translate into more old people, fewer young people, and, eventually, shrinking populations. But it also shifts what’s called “the dependency ratio”: the ratio of retirees per member of the labor force. On some estimates, Italy, Spain and Germany will have very high dependency ratios by 2050: every two workers will be supporting one retiree. Those working will also have to pay either greater contributions or higher taxes to fund existing pension systems. The present situation is further worsened by another ominous trend: the growing exodus of tens of thousands of young EU citizens searching for work to Latin America, North America, and Asia. Similarly, hundreds of thousands of young immigrants to the EU from developing nations are heading home. The odds that many will return to Europe in the near-future are dim. These facts have made some Europeans willing to ponder the necessity of labor-market and welfare reform, not least because those countries that have weathered the crisis better than others (e.g., Germany and Sweden) actually implemented such changes in the 2000s. Getting Europeans to talk publicly about the continent’s population-trends and their economic consequences, however, is a different matter. Why? One reason is that many Europeans have long been in thrall to the over-population gospel. Long before Paul Erhlich’s The Population Bomb (1968) — whose doomsday future-scenarios of a world devastated by famines, mass disease, and social unrest unleashed by overpopulation never materialized — numerous European economists had bought into this thesis. In 1798, the Anglican vicar and one of the first modern economists, Thomas Malthus, published his Essay on the Principle of Population. This argued that growing populations would produce an increasing labor-supply. The result, Malthus insisted, would be lower wages and therefore mass poverty. “The power of population,” he claimed, “is so superior to the power of the Earth to produce subsistence for man, that premature death must in some shape or other visit the human race.” Another English philosopher-economist, John Stuart Mill, was so convinced by Malthusian arguments that he actually spent time in London parks distributing birth-control pamphlets to bemused onlookers. But it’s not just economists who have propagated anti-natalist positions. For decades, European governments have been pushing population-control programs upon developing nations (including trying to force them to legalize abortion) by making foreign-aid dependent upon adopting such policies. The phrase “neo-colonialism” comes to mind. Then there’s the Swiss theologian Hans Küng who — as if locked in a 1970s time warp — avowed in 2010 that the Catholic Church’s teaching on contraception was facilitating “overpopulation.” And, as always, we have environmentalists adamantly maintaining that population growth is putting the planet’s future at risk. The existential scale of Europe’s present economic crisis may, however, at last be providing space for those Europeans unconvinced by neo-Malthusian orthodoxies to crack the consensus on these matters. One such figure is Ettore Gotti Tedeschi, the Italian economist who heads the Istituto per le Opere di Religione(otherwise known as “the Vatican Bank”). In article after article, Tedeschi has observed that graying and dwindling European populations imply not only reduced demand but also higher tax burdens on those who are young and working. The resulting shrinkage of disposable income discourages those of child-bearing years from having more children. This in turn gradually narrows the dependency ratio, thereby creating even greater strains on Europe’s already-tottering welfare states and over-loaded tax base. So while deficit-reduction and welfare reform matters, perhaps the biggest long-term test for Europe is to break the vicious cycle fueled by population aging and decline that could worsen the already-bleak fiscal future for young Europeans. But this will require many Europeans to do something they find even more difficult than scaling back welfare programs. And that is to break through the politically correct taboos that presently strangle objective discussion of Europe’s population challenges, and concede their miscalculation of the economics of population.